US President Donald Trump's former strategist Steve Bannon on Saturday said he would set up "war rooms" across Europe to help form a pan-continental right-wing movement ahead of European Parliament elections in 2019. 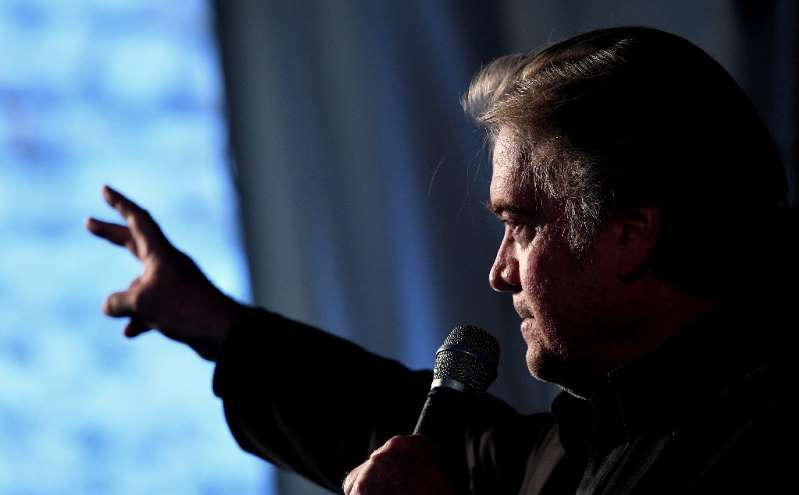 Speaking at the congress of the Italian far-right Fratelli d'Italia party, Bannon called for people across Europe to join him in an anti-EU campaign against traditional political parties. "We will provide and do pollings and data analytics and set up war rooms that people need to win elections," Bannon told a crowd in Rome, watched on by dozens of journalists. Bannon, Trump's former advisor who has said being called racist is a "badge of honour", has visited various European countries in recent months in the hope of building a so-called populist revolt in European politics. He has focused on touting plans for a Brussels-based foundation called "The Movement" and met leading anti-immigration politicians including Hungary's Prime Minister Viktor Orban and Italy's Interior Minister Matteo Salvini. "After the November (US mid-term) elections, when President Trump defeats the cultural Marxist Democratic parties, and he is not impeached, I will be spending 80% of my time in Europe in preparation for the European Parliamentary elections,” Bannon said. Bannon's increased visibility in Europe comes after he was pushed out of the White House and departed the right-wing Breitbart media empire, condemned by some commentators as spreading racist and misogynist views. Earlier this month the Austrian far-right Freedom Party, part of the country's ruling coalition, said it was not keen on collaborating politically with Bannon. "We want to forge alliances in Europe but we do it independently of the US, Russia or anyone else," said head of the Freedom Party Harald Vilimsky. "We want to grow, expand on our own and develop our programme and ideas on our own, but surely not under the leadership of someone active in the United States," he added.